Welcome the official blog for the charter boat Intimidator. 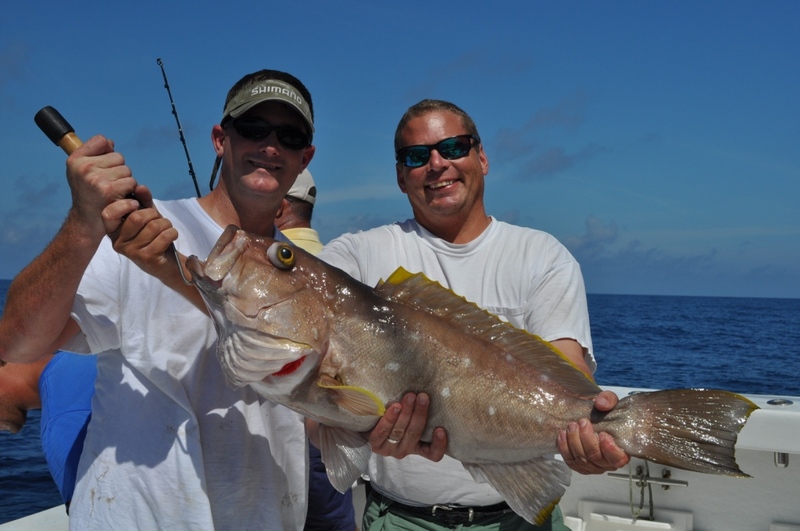 As the premier deep-sea charter fishing service for the northern Gulf Coast wehave been in business since 1996 and have logged hundreds and hundreds of trips and provided many exciting sport fishing opportunities to thousands of satisfied clients. I am a lifelong native resident of the Gulf Coast and have been fishing since a very early age. By growing up on the water and starting my career as mate on the back deck of some of the most prestigious boats in the commercial and charter fishing industry has given me a unique insight to the business. With a wife and 3 kids, I am very family oriented and would love to help you share a great day of fishing with you family, friends or colleagues. Over the past 20 years, I have been blessed with some the best mates in the industry. In fact I’ve only had 5 mates in 20 years as a lot of them have gone on to running private boats all over the world while some are still in the charter business. They are young, respectful, hard-working guys that genuinely love what they do. We are good with kids and will be glad to answer questions, help cook, rig tackle and give fishing lessons to everyone while on the way to the fishing grounds. We maintain a “G” rated attitude even in the most wide open fishing action you can imagine.